Today, Ghana lost her president! It’s the 24th of July 2012 and this day will never be forgotten. I heard the news here in my workplace cafeteria from faraway Houston at lunchtime. Somehow, my appetite had gone! It is not personal knowledge of Mills that makes me sit in my room now, three hours since I got back from work, unable to do anything but just grieve, that moves me to write. It is the heart of a willing man, a weak yet strong man, an insulted yet peaceful man, a President, which moves me to write. 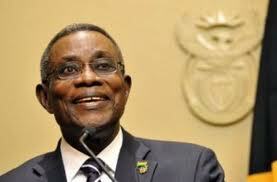 When he became my president, John Evans Atta Mills carried upon himself the targeted ridicule meant for anyone who joined his government and who fell short of public love. For the sake of the people he worked with, he was insulted, yet he bore it. He defended his government and with it, endured the long, difficult days in the Castle when people scorned him for the errors of his ministers. They declared him dead many times before today! But he fought. He fought to keep his name and integrity intact. He took upon himself the shame that his subordinates would have taken. And in doing so, he crucified himself. Let me say this! Mr. Mills was not the most popular president Ghana ever had but there was no other president, not even Nkrumah, who everybody in Ghana, from child to adult, boy to girl, man to woman, would address as Uncle! He was our Uncle Atta. Our President, far away, but close enough to think he was our parents’ brother. Our Uncle! I mourn his passing. Ghana mourns his passing. I got online to chat with my brother back in Ghana to know what was going on back home, right when I got back from work. Ghana is silent! I love my brother – his picture is my Facebook cover photo – and today, we all confessed that Uncle Atta’s passing has shaken us in a way that even our dad’s passing two years and a half ago, had probably not! Maybe then, we decided to be strong for the rest of the family. Today, it is impossible to be strong for all of Ghana! Even all of Africa! I didn’t personally know the man, but I watched him. I learnt from him humility and fortitude of spirit, calm and a raging courage. And as I type this, alone in my room, I cry. Even through his sickness, he wanted to continue to be president. And every muscle in him that moved him to say, “I want to be president for another four years”, said so because, in spite of the fact that we made the presidency difficult for him with our impatience, he loved us! He had a heart that was big enough to take it all, and a will that was too tried to be tested! There will not be another Atta Mills! Fare thee well, Mr President! We will remember all your sacrifices for the good of our country, in sickness and in health, till death has done us part! Ghana, here lies a president, another like whom you will never meet. Mr. President, you taught us good, you taught us peace and you taught us God! Ghana will never forget you!